Wat Phra That Sri Jom Tong is home of the meditation centre. Find the new journey of the differently Buddhist experience at one of the most interesting religious site in Chiang Mai is the Wat Phra That Sri Jom Tong. Wat Phra That Sri Jom Tong knows as one of the most well-known resting spaces with the gratefully peaceful in Jom Tong district, Chiang Mai. According to the tourism in Thailand, there are many amazingly beautiful attraction which attractive to not only the Thai traveler but also, to the foreigner visitor too. As everyone know Chiang Mai is so far away to our central city of Thailand is Bangkok. 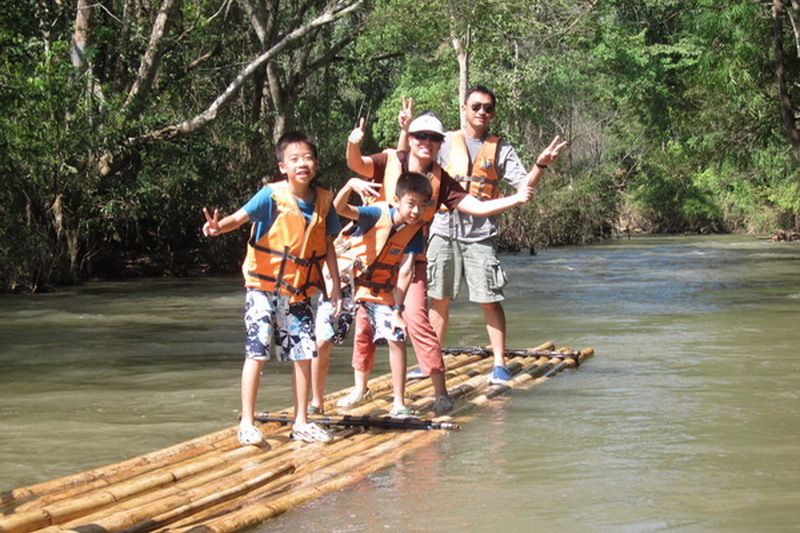 However, there are a lot of traveler come to take a rest in their weekend as well too. 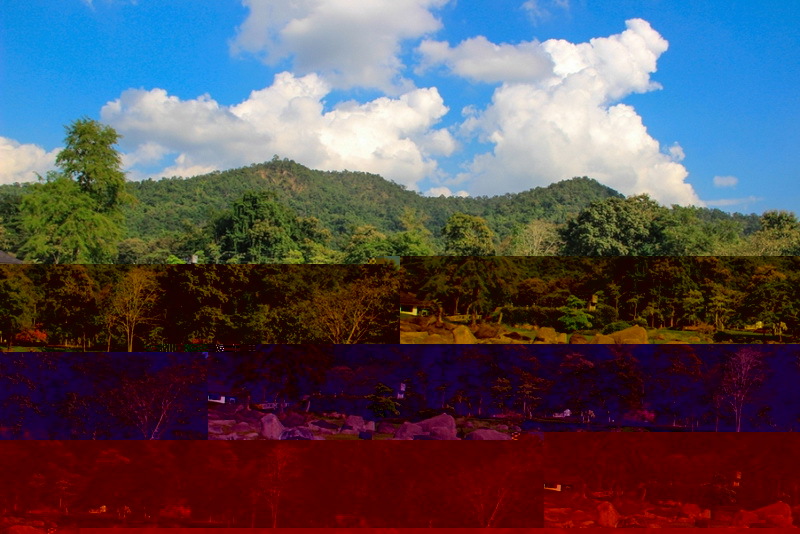 There is a lot of beautifully interesting in Chiang Mai. The Wat Phra That Sri Jom Tong is one of there too. Gratefully, there is my appreciated moment to present you with the wonderful in this amazingly religious attraction is the Wat Phra That Sri Jom Tong. 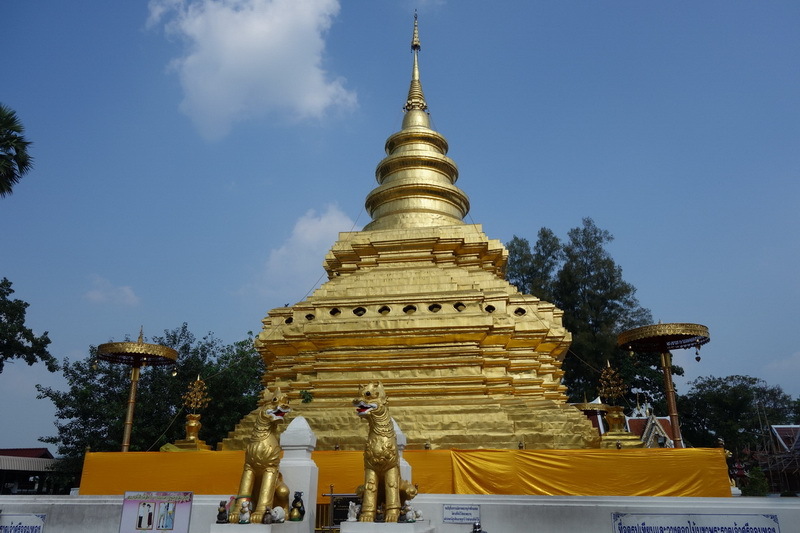 What do we have seen at our one of the wonderfully religious attraction in Chiang Mai, the Wat Phra That Sri Jom Tong? Our Wat Phra That Sri Jom Tong or the Phra That Sri Tong temple is one of the oldest temples in Chiang Mai. Even though there is an old historical site, this Wat Phra That Sri Jom Tong is still being popular for not only Thai visitor but also for the foreigner traveler too. Not only of a bit beautifully natural and Buddhist building sight but also, there is a lot the interesting site which you will have seen in wonderfully religious site is the Wat Phra That Sri Jom Tong. 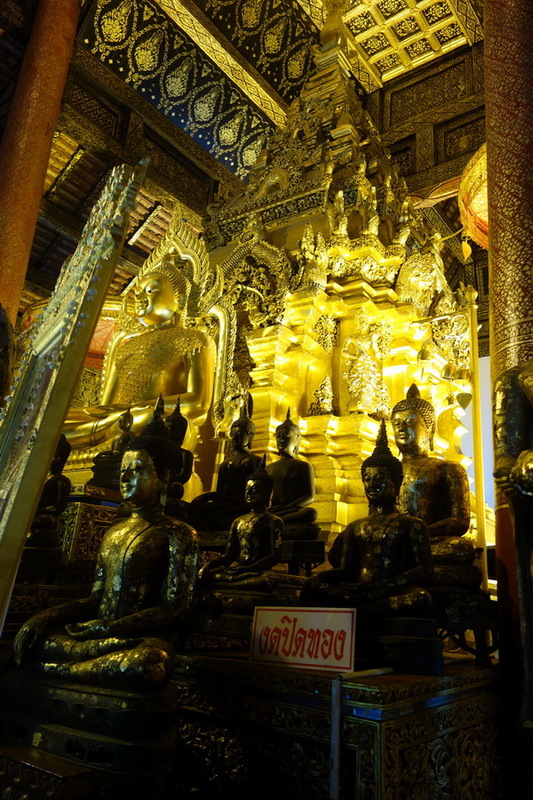 The best interesting in our Wat Phra That Sri Jom Tong, is the Buddha’s relic. This Buddha’s relic is not only beautiful of golden but also, in quite good designed. There is represent the faithful of the Buddhism also the make of this Buddha’s relic as well too. Moreover, there is an interesting faithful for the Buddhism that paying respect to the Buddha’s relic may getting better life in soon. Therefore, you may see many people come to pay respect and blessing with this beautifully golden Buddha’s relic at our Wat Phra That Sri Jom Tong for not only for their faithful of the better life but also, for having one’s hopes fulfilled too. The temple grounds contain two viharns. The largest viharn is a two storey building with a cruciform floor plan. The viharn that was constructed in 1817 contains beautiful gilded wood carvings on the gables, portals and the facade. The attractive Lanna style facade is decorated with blue and gold colors. On the roof ends are golden intricately decorated barge boards with Naga snakes. 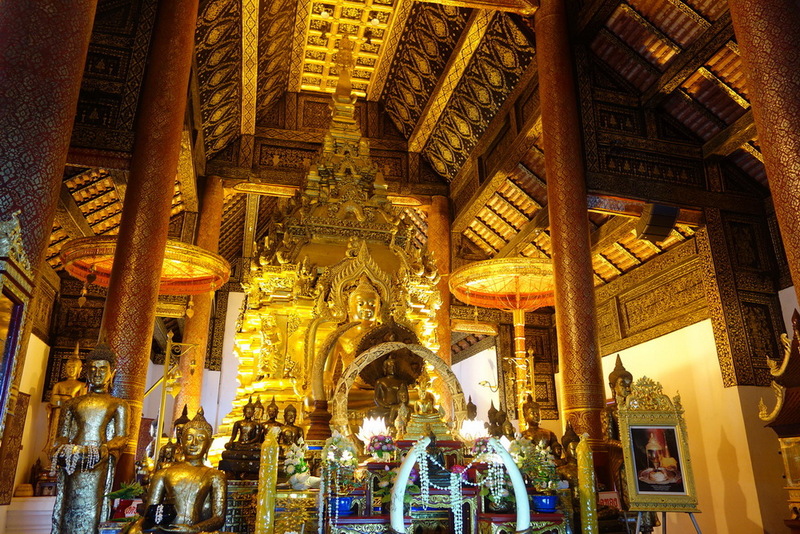 Inside the viharn is a very large and ornate Ku or Buddha Throne, decorated with depictions of mythological creatures. 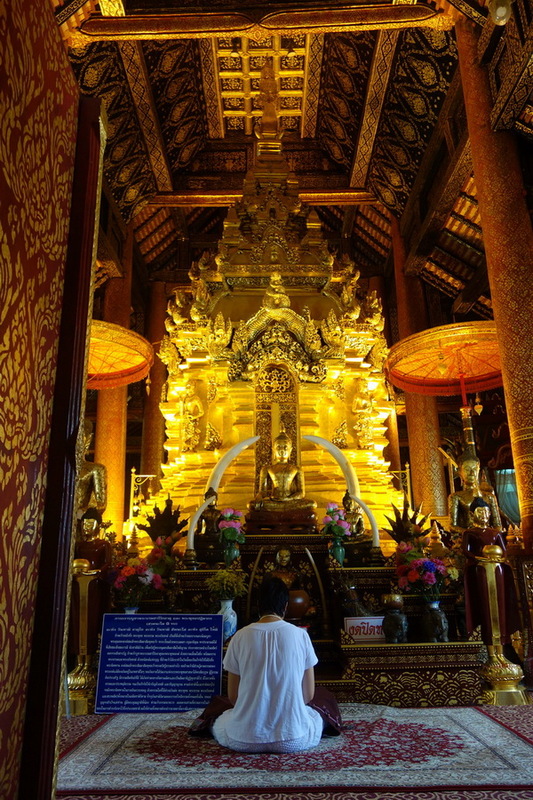 The smaller viharn and a large hall on the grounds contain a very large number of old bronze Buddha images. 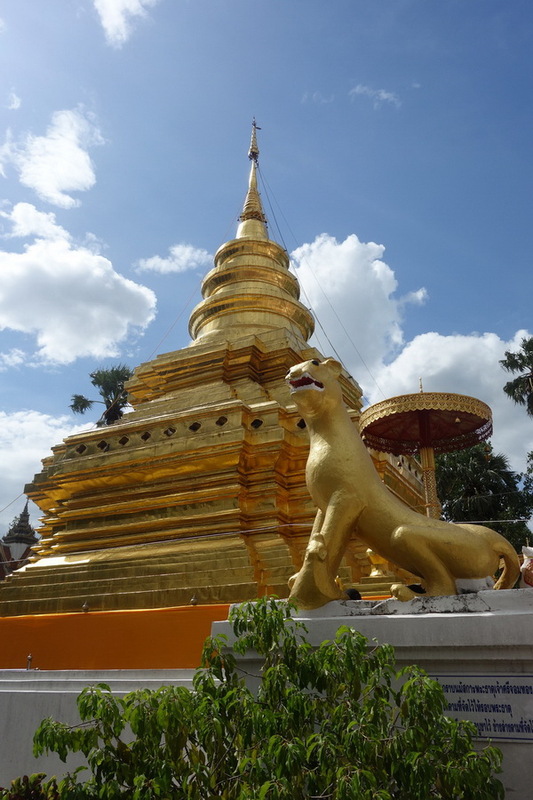 Other items to see at the temple grounds include a large bell tower, several gongs and bells and a number of white lions called Singha in Thai, that are guarding the temple. Entrance to the temple grounds is through a large ornate white gate in the wall around the temple. Moreover interesting activities are to pay respect to the Buddha’s relic, pay respect to the Buddha statue, doing the Buddhist activity moreover, to the important events in overall important of the Buddhist days too. In additional, this Wat Phra That Sri Jom Tong is most well-known in the Dhamma practice with a lot of the peacefully and good weather as well too. 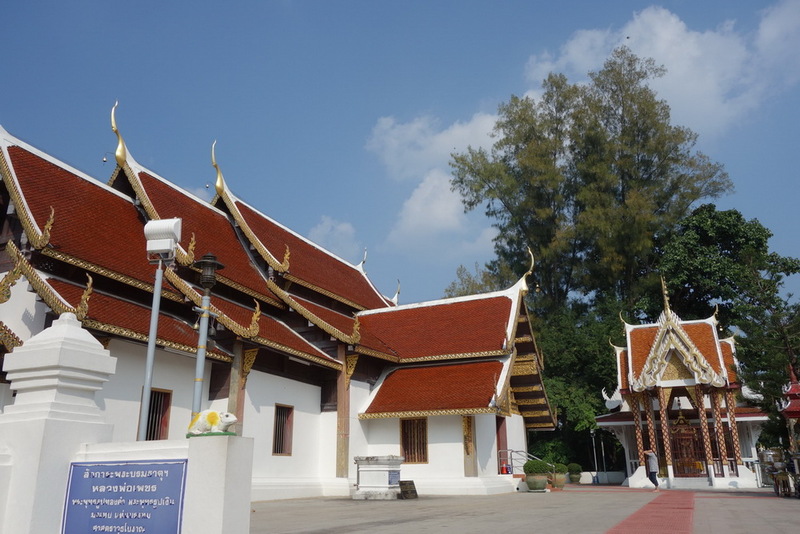 The temple is also home to the meditation centre founded in 1991 by Phra Dhammungkalajarn Vi (Phra Ajarn Thong Sirimungkalo). The centre is located in the monastery and takes up to two-third of the temple area. It welcomes a large number of those who wish to practice meditation either in person or in group. An emotion test is held daily excluding Buddhist Sabbaths. The centre is also a school for numerous meditation coaches called Vipassanajarn, who consequently travel to spread the practice. This temple is an important shrine for people born in the Year of the Rat. 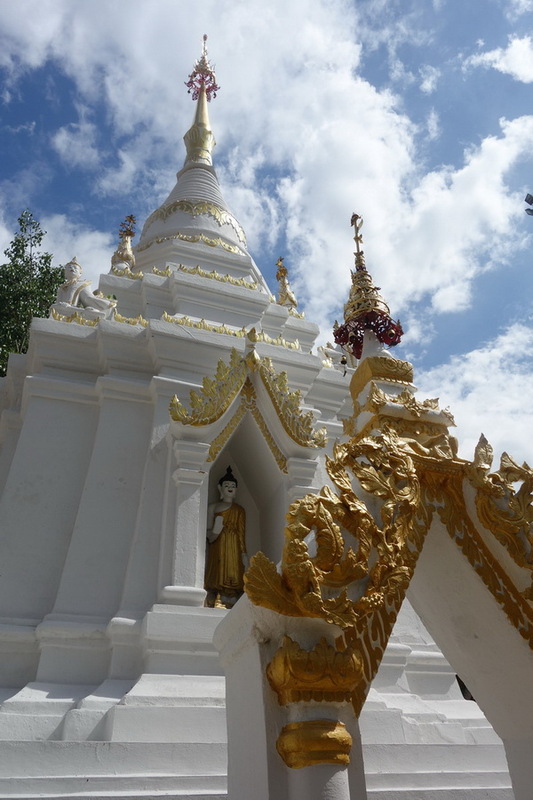 As Doi Inthanon National Park is nearby, you could combine a trip to the highest mountain in Thailand with this temple. How do we getting to this amazing destination which attractive to every visitor is the Wat Phra That Sri Jom Tong? According to our one of the most beautiful religious temple in Chiang Mai Wat Phra That Sri Jom Tong has been located in Chiang Mai. 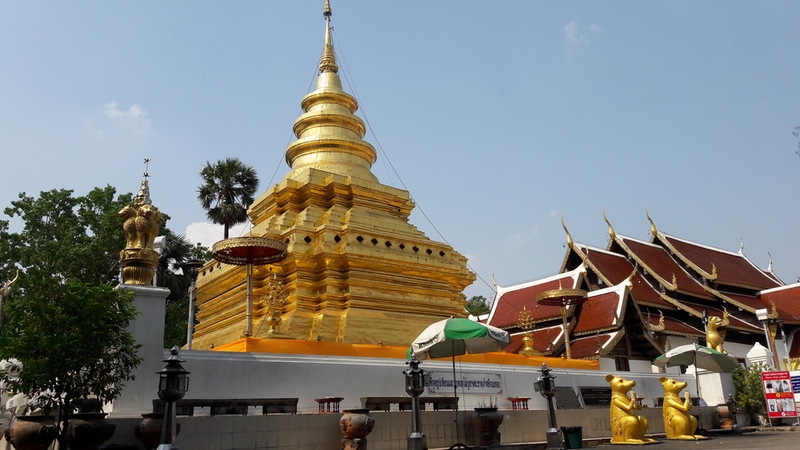 There are easily several to reaching our wonderfully religious site is the Wat Phra That Sri Jom Thong in both of option are by diving with your own or rental vehicle and by taking the public transportation too. Let say to the first option, is by the driving with your own or rental vehicle. 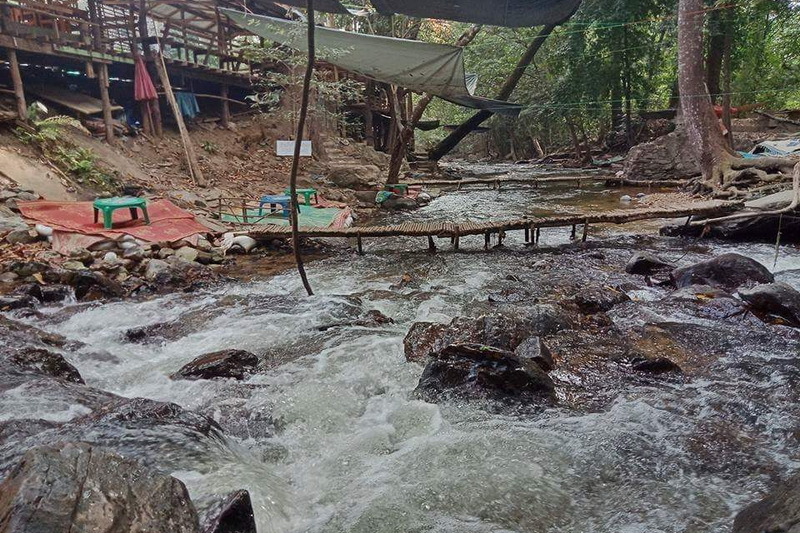 Let start at the Tha Phae gat the, go along on the direction of the Mun-Muang road for around 300 meters. Then, take an obviously u-turn to the Chai-Ya-Poom road. Secondly, go along via this currently road for around 1.8 kilometers in approximately then, you will here on the direction of the Chang-Lor road. Thirdly, moving forward on this currently road for round 800 meters then, take a turn on your left to the highway route number 1141. Fourthly, driving via this highway rod for around 1.5 kilometers approximately then, take aturn on your right to the highway route number 108. Fifthly, go along in this direction and take a turn on your right at the Sa-Murng square to the highway route number 121. Sixth is, go along via this highway for around 1.9 kilometers then, and take a turn on your left to the Sun-Pa-Tong by pass road. 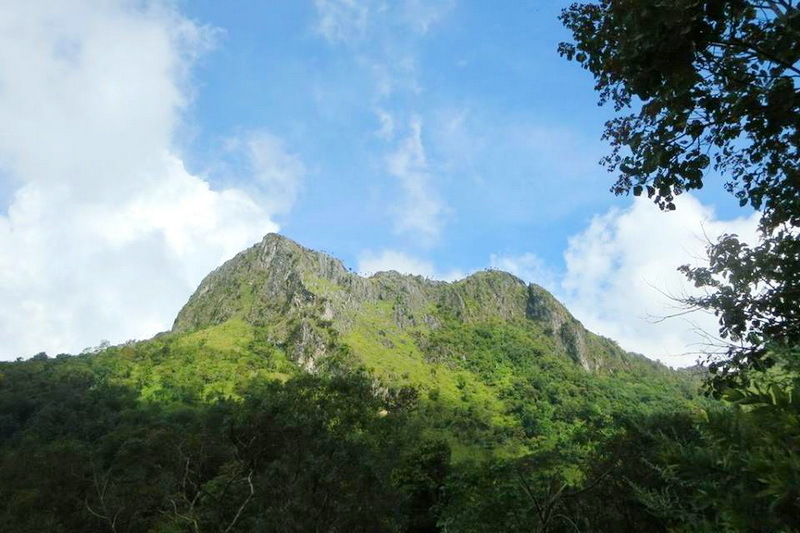 Seventh is, go along in this conveniently road for around 28 kilometers approximately then, take a turn on your left to the high way route number 108. Moreover is, going along on the direction of the highway 108th for approximately 28 kilometers and take a bit on your left to the little alley and moving forward in a few minutes. Lastly, take a turn on your right and driving for an exactly 80 kilometer. Then, you will reach here at our one of the beautifully temple in our northern of Thailand is Wat Phra That Sri Jom Tong infinally. Another recommendation for the traveler, who need no to bring their private or rental vehicle, is to taking the public transportation. There is a lot of public transportation provided from the several service providers at the central city of Chiang Mai. Just find one of there, which driving in route of the Chiang mai-Jom Thong. Then, inform the driver that you need to reach Wat Phra That Sri Jom Tong. However, there are many several cost of travelling. As my recommendation, is to consult with the tourist service center or any reliable travel agency for the method to reach our Wat Phra That Sri Jom Tong because there is a best way to get a friendly cost of travelling with the public transportation as-well.